Can my Rigol DS1052Z compare 2 wattages? I just got a Rigol DS1052Z today, I learnt how to make the math multiply 2 other channels (V&A) and give me wattage, however I would like to run more math of on the other 2 channels to get duling wattages. Alas I can't see how it if this is possible, I feel it is a waste for it not to be though. If you can only run math of 2 channels at most, then what about fx Operation? Can that somehow be setup to do this? Or would I have to manually change the math operations each time to check the other channel pair? Re: Can my Rigol DS1052Z compare 2 wattages? You can use a shunt resister per unit you wanna measure current on and and measure the voltage drop over it. Or use a ucurrent device or similar. Zeecue, thanks, but I believe you have misunderstood my question. I am not asking how to measure current. I am not even asking how to measure wattage on my DS1052Z. I am asking how to measure simultaneously 2 wattages to compare them. I have managed to multiply 2 channels to create wattage, but I am unsure how to perform this simultaneously on the other 2 channels. The math function, from my teaching myself one day only, seems to be limited to one operation of 2 channels only. Though there is something called fx Operation, but I'm not sure hat can be made to do this. Well, depends on your circuit. If you know the Input voltage, you can measure the voltage drop and just use PUI to calculate the power. I might be wrong but you could measure it in stages. Basically measure 2 channels, save that trace and then measure with two other channels. But the Z at the end tells me he meant to write DS1054Z. As typing I was debating with myself if the end digit was a 2 or a 4, now I guess that has to do with the number of channels. So yes it is a DS1054Z, 4 channels. I just find it odd that math seems to my beginner attempts limited to only half those channels. And yes, I could print it up and change it to the other 2 channels, but I was wanting to know if there was a way I could get a true live simultaneous reading presuming I don't know and input value for sure. After all if I have to switch the math function to the other 2 channels, if the number is wandering a bit then I don't really know what is happening at the same time do I? It also makes the other 2 channels seem less useful, since I'd be better/faster tio move the probes than to go into the menu to rejig the math. Unfortunately you can only display one "live" Math trace on the Rigol DS1054z. The "fx" operation is for doing two levels of operation, like " intg(AxB) " which would give you Joules if A and B are volts and amps. But still only one live Math trace can be displayed, involving two input channels at most. But all you have to do to switch channel inputs to the Math is to select "Source A" and "Source B" to the channels you want to measure. Much easier than changing probe positions. 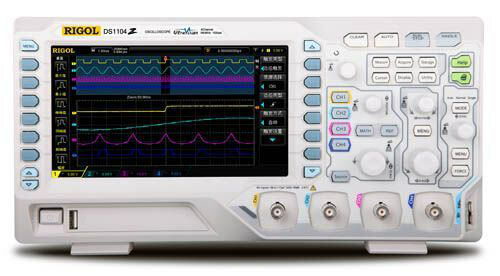 Connect your CH1 and CH2 probes at the first power measurement point and the CH3 and CH4 probes at the second power measurement point (being careful of groundloops of course, all probe grounds are common) and then just change the Source settings when you want to see the Math from each set. You can also Store the trace from one Math pair and then compare to the Live reading with only a few seconds delay. Sure, this is a drag. 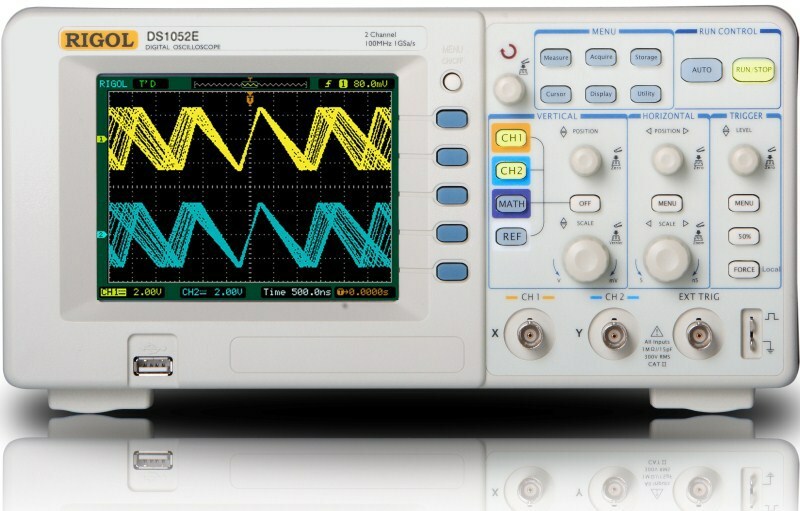 But I think you'll find that scopes that will display more than one Live math trace at a time are... shall we say... out of my price range, anyhow.